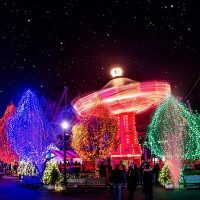 The Poconos already features a plethora of outdoor activities for families, from snow sports to zip-lining to canoeing along the Delaware River, but the region continues to expand its offerings. The newly constructed Camelback Lodge opened in May 2015, with the highly anticipated Aquatopia Indoor Waterpark just steps from its more than 450 suites. And that’s not all. Mini-golf, rock-climbing, laser tag, arcade games, a kids’ spa, pottery painting room and more are all onsite, inside the lodge. Fueling up before all of the fun will ensure a day of energy, and it’s easy to do at the lodge. From quick-service stations to sit-down restaurants that overlook the water park or the ski slopes, Camelback has options for all ages. Parents can even enjoy a cocktail at the swim-up bar at the water park, while children try their skills at the surf simulator nearby. When it’s time to rest up for the next day of activities, retreat back to one of the spacious suites, which includes features like mini-fridges, microwaves, sofa beds, fireplaces and balconies — and those are just the standard amenities. Guests can choose from six-person suites to multi-bedroom condos that sleep up to 14 guests with kitchens and all the essentials. 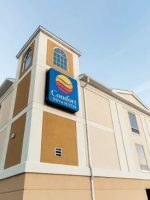 Whether staying for a week or a weekend, parents can rest assured they and their children will never be bored at the year-round Camelback Lodge and Indoor Waterpark. The Camelback Lodge offers families 453 suites that sleep between six and 14 guests. Standard amenities include sofa beds, flat-screen TVs, free Wi-Fi, mini-fridges, microwaves, fireplaces and balconies. Connecting rooms and cribs are available upon request. All guests receive bracelets upon check-in, which are used to electronically unlock all suites. There are 16 different suite configurations from which to choose, including handicap-accessible options. Standard Suites offer two queen beds and one queen sofa bed, or one king bed, one sofa bed and two sets of twin bunk beds. There is one full bathroom. They can sleep up to six or eight. There are four room configurations from which to choose. One-Bedroom Suites come in two configurations and offer one separate bedroom with one king bed and a private full bathroom, plus one queen sofa bed and one queen Murphy bed, or two queen beds and one queen sofa bed in the living area, where there is also an additional full bathroom. They can sleep up to six and eight, respectively. Two-Bedroom Suites come in eight configurations, the largest of which can sleep up to 13 guests. Smaller styles offer one bedroom with either one king bed or one queen bed, plus one private bathroom, queen sofa beds and queen Murphy beds. Larger configurations offer additional queen sofa beds or queen/twin bunk beds, plus full kitchens and tables for up to six. All have two full bathrooms. The largest accommodation option at the lodge is the Three-Bedroom Condos, which come in two configurations. The first sleeps up to 14 and offers one bedroom with one king bed and a private full bathroom, and two bedrooms with two queen beds. There are also two queen sofa beds, three bathrooms and a full kitchen. The second configuration can sleep up to 12 and offers one bedroom with one queen bed, two bedrooms with one king bed, two queen sofa beds and one more queen bed. There are two full bathrooms and a kitchenette. The main attraction at the lodge is the 125,000-square-foot Aquatopia Indoor Waterpark. 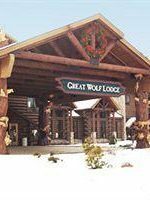 Located on the lower level, admission is included with all nightly rates at the lodge. Families can enjoy 84-degree temperatures while splashing in one of seven pools or sliding down one of 13 waterslides. Families can start by taking a dip in the zero-entry wave pool before heading to one of the other areas of the park. For little ones, Penguin Play Bay has shallow water and spray features just their size. For slightly older children, Kartrite's Quest is the large water playground in the center of the park that features a 1,000-gallon dump bucket, nearly 100 gadgets and water play features, plus slides, a water ropes course and basketball hoops to enjoy. For tweens, teens and parents, the park's waterslides range from bodyslides to aquatubes to plunge slides. 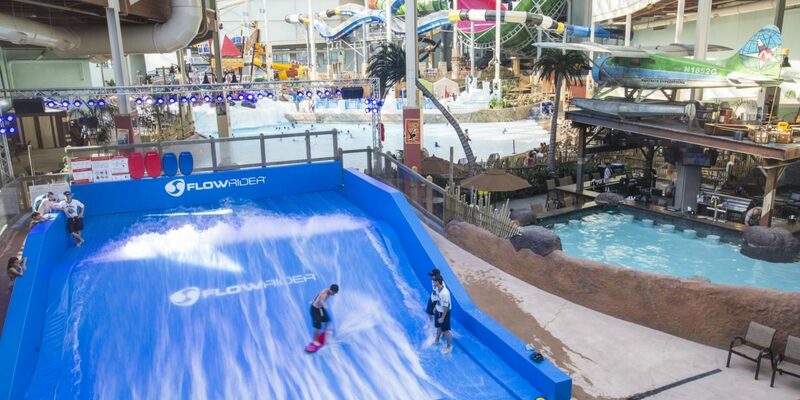 The Venus SlydeTrap is the first Aqua-Sphere-Manta slide of its kind in the world, while the Storm Chaser is the longest indoor water coaster in the U.S. And don't miss the Bombora FlowRider surf and body board simulator for a chance to hang-10 on waves inside the resort. Aquatopia supplies towels for all guests and offers lounge chairs and cabanas, the latter of which are available for daily rent (between $150 and $300 per day). Lockers are also available, as are changing rooms, restrooms and first-aid stations. Lifeguards are always on duty at Aquatopia, with eyes on the slides, pools and play areas at all times. Children ages 11 and under must be accompanied by an adult in Aquatopia. The water park is open daily from 10 a.m. to 10 p.m.
With more than 100 games, kids will surely spend hours racking up tickets to redeem for their prized possession at the Treasure Trove inside Arcadia. Games are grouped by age and cost additional fees ($1 for two game credits). Arcadia is located on the lower level just outside the entrance to Aquatopia. Located on the main level of the lodge, next to Neptune's restaurant, Meh Tah's Mini-Golf offers a nine-hole course that takes families through stories of Yeti, Meh-Tah, Sasquatch and Big Foot. Children under 36 inches must be accompanied by an adult. One round of play is $6.99 per person. Also located on the main level, and right near Meh-Tah's Mini-Golf, Lazer Runner tests the skills of kids ages 5 and older in a black-light maze where the highest score wins. Dry clothes and closed-toe shoes must be worn. One game is $8.99 per person. Located next to Lazer Runner, the Ascent is a 25-foot rock climbing wall for kids to enjoy. Closed-toe shoes are required. Climbers must be at lest 40 pounds and 36 inches tall. One climb is $6.99 per person. Above it all -- Meh-Tah's, Lazer Runner and the Ascent -- is K2 Klimb, the indoor Himalayan-themed ropes course that offers the best views of the activities below. Kids must be at least 48 inches or taller to go alone; children under 48 inches must be accompanied by a parent. Families brave enough to take the journey will cross balance beams, lilly pads, cargo nets and more -- all while attached to a harness, of course. There is a maximum weight of 300 pounds per person and closed-toe shoes are required. One time through the course is $11.99 per person. Next to Arcadia on the lower level, Lazer Frenzy Maze is for kids ages 5 and up who want to try their hand at dodging lights that seem to come out of nowhere. Siblings, friends and parents can watch kids inside the maze on a screen outside the entrance, too. One round through the maze is $6.99 per person. Also on the lower level near Arcadia, Kartrite's Kids Quest offers the smallest of visitors (42 inches and under) a soft (and free) place to play. Parents must stay with their children at all times. For children who want to feel pampered, the Oasis Kids Spa is a designated relaxation station just for them. Enjoy manicures, pedicures, facials and makeup applications. Kids can also make their own lotions, sugar scrubs and lip glosses. Fees vary per treatment and activity. The spa is located near Arcadia and the entrance to Aquatopia on the lower level of the lodge. Families can paint their own ceramic souvenirs at Polka-Dot-Pots, located next to the Oasis Kids Spa. Choose from animals, letters or other already-made designs, and pick your colors for a fun painting session together as a family. Prices vary per creation. The lodge is located just a few minutes from Camelback Mountain, which offers outdoor activities year-round. Families can ski, snowboard, zip-line and more. The Mountain Coaster is a thrilling way to navigate the area, while the 4,000-foot Twin Zip-Flyers are the longest on the East Coast. There is also a treetop course, guided Segway tours, an adventure zone for little kids and a gem mining station on offer. For more information, read about Camelback Mountain. Admission to the resort's outdoor water park, Camelbeach, is also included with stays at Camelback Lodge. Read about all of the offerings at Camelbeach. There are nine spots to stop for snacks, drinks, meals and dessert at the lodge. Located on the main floor, across from the front desk, Hemisphere's is the main restaurant at the lodge. It is open for breakfast, lunch and dinner daily, and offers a large buffet in the center. From salads and soups to seafood and pasta, there will be an option for everyone in the family. Grab a seat near a window for views of the slopes. 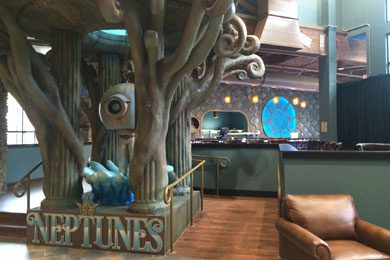 Located on the main floor near the main staircase, Neptune's is a maritime-themed restaurant that overlooks Aquatopia for a unique dining experience. Seafood and made-to-order sushi are on offer, as well as pizza, pasta, salads, soup and more. Neptune's is open for lunch and dinner daily. Located on the main floor near Hemisphere's, the World Bazaar and Coffee Shoppe offers pastries, coffee, tea and other drinks and snacks all day long. It is connected to the gift shop area, which also has snacks and drinks for families to take back to their room for later. It is open daily. Just down the stairs on the lower level is Hungry Camel, a quick-service snack bar near Arcadia. Families can enjoy sandwiches, pizza, burgers, chicken fingers and more. It is open for lunch daily. Next to Hungry Camel is Sweet Discovery, the lodge's own frozen yogurt shop, where families can make their own sundaes with a variety of flavors and toppings. It is open daily during the afternoon and evening. Located inside Aquatopia, Colonial Commons offers American fare such as burgers, hot dogs, pizza, French fries and more. It is open daily for lunch and dinner. Located inside Aquatopia, Moroccan Nights is a themed bar for light bites, beverages and cocktails. Open daily during the afternoon and evening hours that Aquatopia is open. Flyboys is the adults-only, swim-up bar located inside Aquatopia near the Bombora FlowRider surf simulator. Adults can enjoy drinks and cocktails, while watching their kids splash and play. There are also TVs for parents to catch up on the latest sporting events. 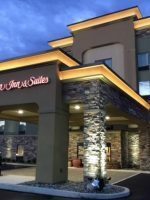 Located next to the Stevenson Lift at the resort's ski area, just a few minutes from the lodge, the Trails End Pub and Grille features American favorites daily for lunch, dinner and late-night bites. Sit inside and enjoy the views of the mountain during the winter, or dine outside on the patio while the fire pit crackles into the night. All guests receive an electronic bracelet, which works as their room key and admission to Aquatopia. Guests can also pay for activities, food, snacks, drinks and souvenirs with their bracelets, charging items back to their room, which they will then pay for at check-out. Camelback Lodge offers complimentary Wi-Fi throughout the entire property. The World Bazaar and Coffee Shoppe offers gifts, souvenirs and essentials for families. Medicine, sunscreen, tissues, makeup and more are for sale for families who may have forgotten to bring them. For a relaxing retreat, adults can visit the lodge's Serenity Spa, which offers services such as massages, body wraps, facials, manicures, pedicures and more. The lodge's fitness center is also located in the same area as the Serenity Spa, and offers work out equipment and free weights for guests to use. Guests can arrive early and pre-register at 12:30 p.m. prior to check-in so as to start enjoying all of the activities at the lodge. Regular check-in begins at 4 p.m. Check-out is at 11 a.m., though guests can stay and enjoy the activities all day after checking out. Families who are not overnight guests of the lodge can only purchase day passes to Aquatopia if they have purchased day passes to another Camelback Resort attraction, such as Camelbeach, Camelback Mountain Adventures and lift tickets for Camelback Mountain. Day passes are available on a first-come, first-served basis, and are $39.99 per person, 48 inches or taller, and $29.99 per person, 47 inches and under. The Poconos is a year-round destination, with snow sports offered in the winter and outdoor adventures in the summer. Fall is a wonderful time to visit, as the foliage is a colorful sight to see. Winter temperatures can drop below freezing on a daily basis due to the elevation of the mountains, and the cold season may last through late spring (it snowed lightly during our visit to Camelback in April!). During the summer, temperatures increase into the 70s and 80s. Families visiting Camelback Lodge and Indoor Waterpark can visit year-round, as the majority of the activities are onsite and indoors. Reserve a room during the shoulder seasons, September, October, March and April for smaller crowds -- aka shorter lines for the waterslides! Skip visit during school breaks if you can, as nightly rates are sure to be higher at those times. 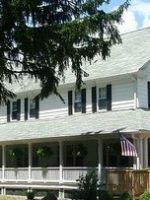 The closest airport to the lodge is the Lehigh Valley International Airport, located about 45 minutes away. Newark Liberty International Airport is the second closest, located in New Jersey, about 80 minutes from the resort. If driving from the Mid-Atlantic or New England region, take one of five interstate highways: I-476, I-78, I-80, I-81 or I-84. 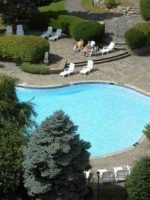 Camelback Lodge and Indoor Waterpark is approximately 90 minutes from New York City, two hours from Philadelphia, four hours from Washington D.C. and five hours from Boston. 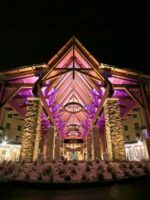 Camelback Lodge and Indoor Waterpark is a one-stop destination, and families will find they won't need their car very much while visiting the resort with so much to do right onsite. The lodge offers shuttles to Camelbeach, Camelback Mountain Adventures and the ski area, all of which are just minutes away. 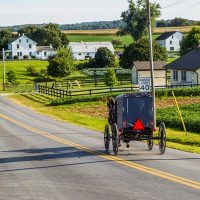 If interested in exploring the rest of the Poconos region, including Bushkill Falls, the Delaware River and other offsite attractions, families will need a car. The activities at the resort will be just as much fun for parents as they are for kids, though alone time will surely be needed. While your children are slipping and sliding in the water park, sit and watch at Flyboys, the swim-up bar inside Aquatopia. If the kids are old enough to watch themselves, enjoy a couples massage in the Serenity Spa and then grab a seafood dinner at Neptune's, which overlooks Aquatopia. Note: Children ages 12 and older do not need to be accompanied by a parent into the water park, and there are always lifeguards on duty.